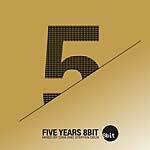 This is the first album by Mannheim-based producer and 8Bit Records & Katchuli owner Pit Waldmann aka Gorge. Mood is comparable to an attitude to life which embodies balance, inner peace and harmony with everything -- like a love of music but specifically, deep house. 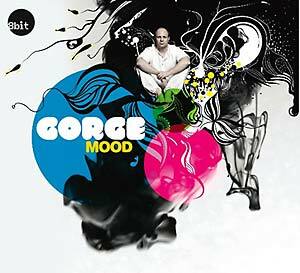 Mood should largely be seen as a concept album, as Gorge very deliberately captured and musically interpreted all the moods of the whole production phase, so that it was merely a continuation of a leitmotif. Pit chose partly African names, which, like their relevant songs, also stand for a variety of moods. "Emefa" means peace, "Makena" stands for richness, "Imara" for strength and also sensuality, peace and joy are holistically summed up in this way. Although Mood is a largely timeless deep house album, his tone color expresses the summery Mediterranean attitude to life, which central Europeans also long for in winter. Mood is to be seen primarily as a listening album, the perfect background music for a wonderful Sunday on the terrace, at the beach or any other favorite place, but it also has something to offer clubs with songs like "Keya" and "Garuna." In addition to the album itself, there is also a bonus mix CD of the 10 best Gorge remixes from previous years, for the price of a single CD. Remixes includes songs by The Quasar & The Pressure, Garnica, Thodoris Triantafillou & CJ Jeff, James Talk, Chelonis R. Jones, Martin Eyerer & Oliver Klein, Steve Lawler, Federico Locchi, Solomun, and Milton Jackson.